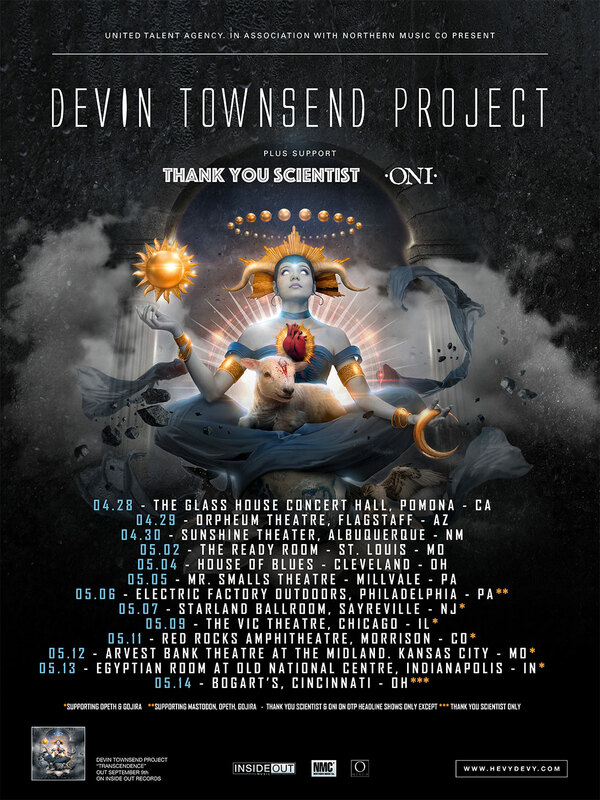 Devin Townsend Project announced a new string of live dates this week that is set to begin in April. The band announced Wednesday it will embark on a two-week tour in support of its latest album Transcendence. The tour is scheduled to begin April 28 in Pamona, CA and run through May 14 in Cincinnati, Ohio. 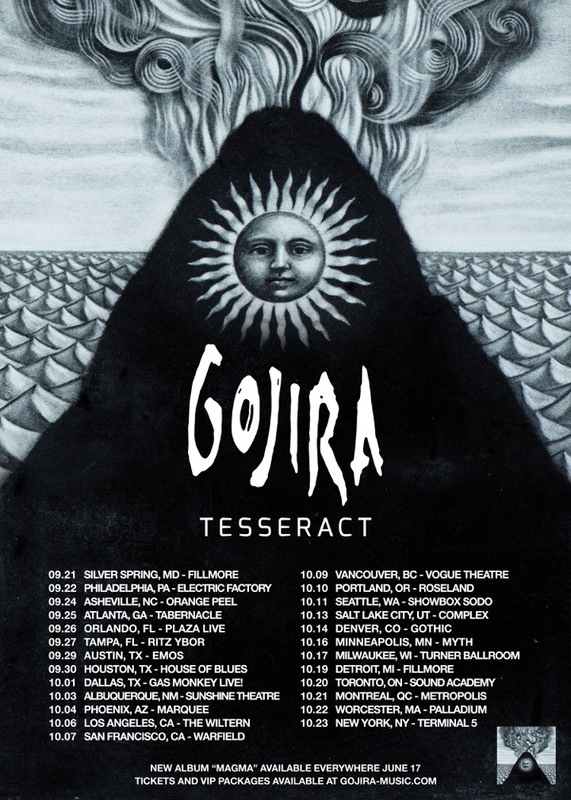 Joining the band as support on select dates will be Gojira, Opeth and Mastodon. 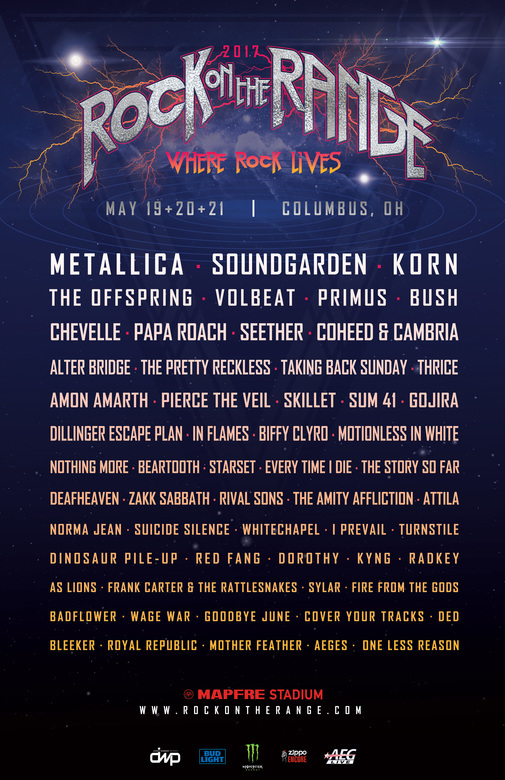 Thank You Scientist and Oni will be co-headliners along with DTP on other select dates. The bands’ complete tour schedule is noted below. Transcendence was recorded at The Armoury Studios in Vancouver, Canada with Townsend and Adam “Nolly” Getgood (Periphery, Animals as Leaders). The band recently unveiled the video for the album’s latest single ‘Stormbending,’ which can be seen here. TesseracT is returning to the U.S. this fall. This fall’s upcoming North American tour will mark the first time since last year’s run with The Contortionist, Erra, and Skyharbor. Tickets for the band’s upcoming live dates go on sale this Friday, May 6th. They can be purchased online here at each venue’s ticket office. Special bundle packs can be purchased online here. Full album streams of Polaris are currently available online now via YouTube at the band’s official website. Audiences can also view the video for the song ‘Survival’ online via Kscope’s official YouTube channel now. Officials with Prosthetic Records have announced that the label is set to reissue the two albums that helped to establish the French tech-death metal band in the metal community worldwide. The label will reissue From Mars to Sirius and The Way of All Flesh in gatefold double vinyl sets in very limited quantities beginning August 27th. Both albums will be reissued to the total number of one thousand copies each. From Mars to Sirius will be released in three 180-gram variants: “Eco-green” (600 copies), “Mars Red” (200 copies), and Sea Blue (200 copies). 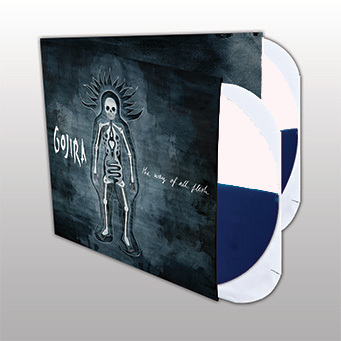 The Way of All Flesh will be reissued on only two variants: 180-gram Clear (500 copies) and standard-weight blue-white split vinyl (500 copies). The reissue of The Way of All Flesh marks the first time in three years that the album will be available on vinyl. The album features a guest spot by Lamb of God front man Randy Blythe and was produced by Logan Mader (Five Finger Death Punch, Devildriver, Fear Factory). The band toured alongside In Flames and All That Remains in support of this release. There was even an arena tour with Metallica in support of the album. Both The Way of All Flesh and From Mars to Siruis can be pre-ordered now online at http://www.indiemerch.com/prostheticrecords/pre-orders. 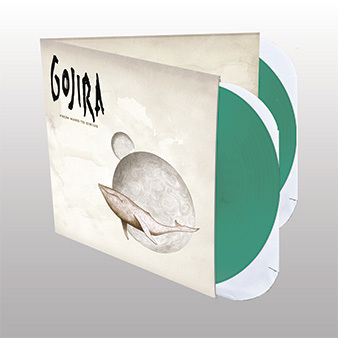 To keep up with the latest news from Gojira, fans can follow the band online at http://www.facebook.com/GojiraMusic and http://www.gojira-music.com.